This young family is deliberate and thoughtful about every decision. They relish collecting old, story-filled items and mixing them with new, modern bits. 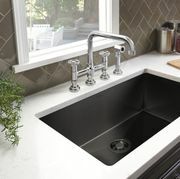 Their Shaws Original Single Bowl Apron Front Fireclay Kitchen Sink reflects their desire for classic, timeless style, rich with history. 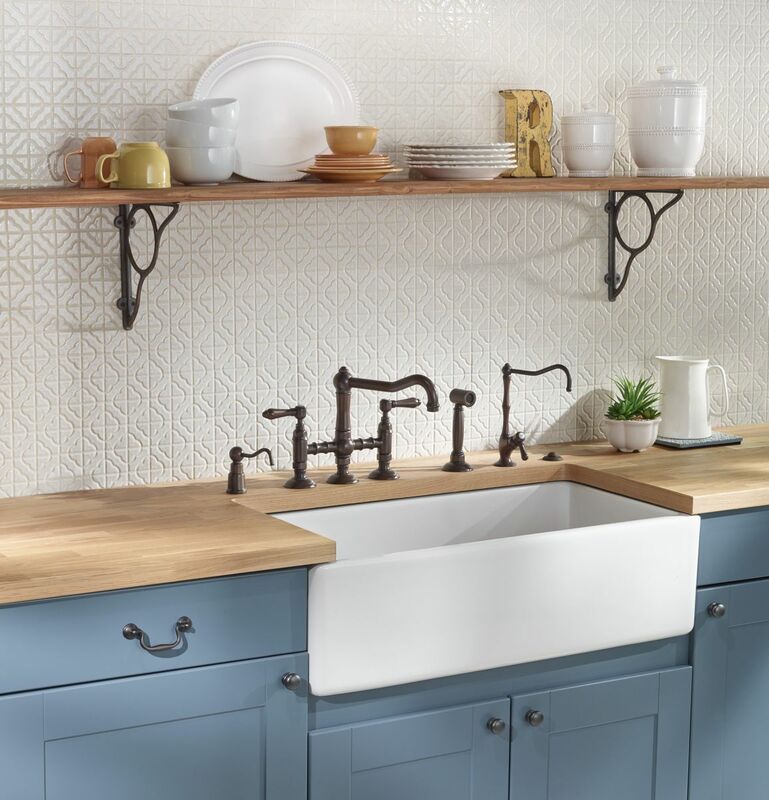 The choice of a Country Kitchen Bridge Faucet with Sidespray in Tuscan Brass and complementary Soap Dispenser with Country Kitchen Filter Faucet offer contemporary capabilities with a look that pulls from the past.